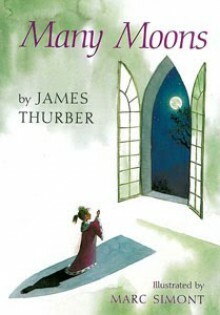 James Thurber's wise and humorous tale of the princess who wants the moon--and gets it--is one of those rare stories that speak to children generation after generation. Like other classics, it is rich enough to inspire more than one illustrator, and Marc Simont's fresh and engaging art brings a new version of this wonderful story to modern children. This was one of my favorite books as a kid.